Worrying about literally everything is a natural part of being a parent. However, for many new parents they are simply unprepared for the sheer number of things there are to worry about once they get their newborn home. While these concerns are completely normal, if you’re not careful you could end up driving yourself totally insane. 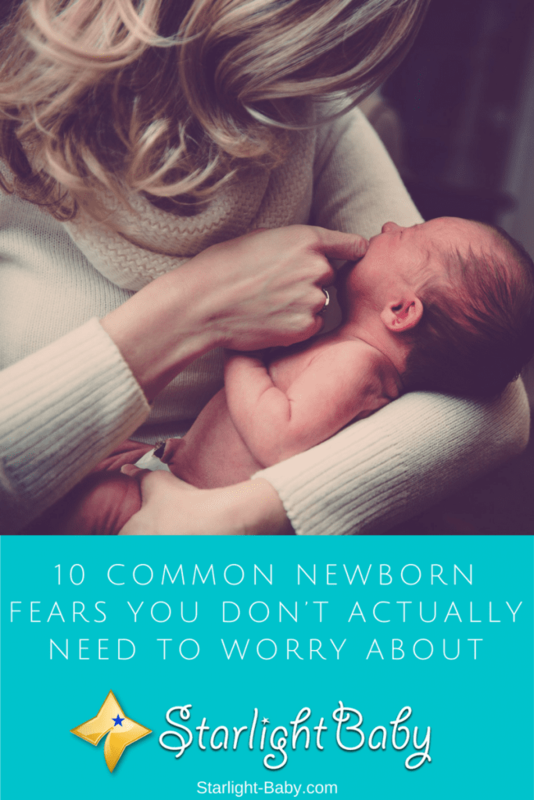 So, before you lose your mind, here we’ll take a look at 10 of the most common things parents fret about with their newborn that they don’t actually need to worry about. 1. How Will I Keep My Baby Safe? By far one of the most common worries is how you can possibly keep your newborn safe. Suddenly even the most innocent, mundane household items transform into dangerous weapons. Pencils left on the table could fall off and poke your little one’s eye, cushions could smother them – wherever you look there’s another potentially fatal object just lying around. It sounds ridiculous, but it can be terrifying and many new parents are paralyzed with fear about their baby’s safety. The good news is, your little one is a lot tougher than they look. You’re already equipped with the natural motherly instinct to protect your baby and a little common sense is all you’re going to need. Baby’s getting injured because of everyday household items is extremely rare. So, try to relax, breathe and have faith in your own capabilities. Babies cry. This is a well-known fact and something you come to expect to some degree. However, constant crying isn’t something you’re usually prepared for and it can be really upsetting to hear your little one in obvious distress. You’ve tried feeding, burping, cuddling and practically everything you can think of to soothe them, but nothing is working. Surely there has to be something wrong? Before you pick up the phone to call your doctor, it’s worth keeping in mind that constant crying is in fact normal for many babies. It is most likely a sign of colic. This is a completely harmless condition which basically causes baby to cry excessively. It will pass, but it is still distressing to deal with. You can look up tips on how to ease your little one’s colic. However, if you are worried there’s no harm in calling the doctor just to be sure. While striking your baby’s soft spot with force could pose life threatening problems, touching it isn’t going to do your little one any harm. The soft spot located on baby’s head is there to ensure they pass through the birth canal safely. Contrary to popular belief, if you touch it, you won’t actually be touching your baby’s brain. Instead, it is a very thick membrane that’s there purely for protection purposes. A baby’s skull is remarkably flexible, so it’s highly unlikely you’ll cause injury simply by touching the soft spot. The most distressing thing parents worry about with their newborn is whether they will develop SIDS (Sudden Infant Death Syndrome). This is a very logical worry due to the fact that it is an actual condition and it’s every parent’s worst nightmare. However, numerous campaigns to ensure parents place their newborn on their backs to sleep and to eliminate their exposure to second hand smoke has helped to drastically the reduce the number of SIDS cases. It’s also worth keeping in mind that SIDS is extremely rare so the chances of your little one dying because of it is very small. However, it is worth researching more about the condition and learning how to reduce the risks to ease your concerns. Seeing blood in your little girl’s nappy can be terrifying. However, it’s 100% normal during the first week of your little one’s life. It’s basically a mini-period brought on by the increased levels of estrogen created throughout your pregnancy. This hormone can stimulate the fetuses’ uterus, causing it to shed a little shortly after birth. The occasional bout of diarrhea is expected, but what if your newborn has constant soft poop? Well, it could be more normal than you think. If you’re breastfeeding, it’s common for baby’s poop to remain consistently soft. This is because your little one’s body digests breast milk pretty quickly. Bottle fed babies on the other hand tend to empty their bowels less frequently and it doesn’t tend to be as soft. You also need to take into account that your newborn is on a liquid-only diet so the stools are logically going to be a lot more squishy than if they were eating solids. The main piece of advice you’re given as a new parent is that routine is everything. If you want to avoid sleep and feed issues, a routine is the main thing that’s going to help. However, what they don’t tell you is that this only applies after the first few months of your little one’s life. Newborns have a lot of changes that they need to get used to. This makes it almost impossible to stick to a solid schedule during the first weeks and even months of their life. Many parents feel like complete failures because they just can’t seem to get into a routine early on. So, don’t worry about setting a proper routine until your little one has adjusted to their new surroundings. The first few times your newborn hiccups it’s extremely cute! However, when it becomes more of a constant occurrence that’s when you may start to panic. Many parents think they’re doing something wrong during feeds, but the truth is it’s actually something most babies suffer with. The actual cause isn’t certain. Some experts say that it’s down to a simple communication issue between the diaphragm and the brain. However, whatever the reason, it’s 100% natural and isn’t harmful or a sign that you should be worried about. A rash of any kind can be alarming. The first thing you’re likely to think is Meningitis. However, facial pimples are really common amongst newborns. They are caused by maternal hormones which continue to circulate within your little one’s body. You’ll typically find they develop anywhere from the age of 2 weeks to 2 months of age. All you need to do is clean the area gently until it disappears on its own. Another surprising thing newborns do a lot is sneeze. As adults, we’re used to sneezing being a main symptom of a cold. However, with newborns sneezing can be caused by several things. As they enter the big wide world, your baby’s tiny nose is likely to have a little congestion. Sneezing is their way to eliminate this congestion. If the sneezing is also accompanied by a yellow colored, thick mucus then that’s an indication they do have a cold. If it isn’t, the sneezing will disappear on it’s on. These are just 10 common worries parents have which usually turn out to be harmless. However, it is worth noting that this is just general advice. When it comes to the health of your little one, it’s always best to consult a doctor or pediatrician if you are concerned. Trust your instincts and don’t be afraid to seek advice if you are worried. Five months ago, I worried about these things. These days, I laugh at myself. However, this does not mean, I let my child unattended. Parenting is you learn through trial and error. You don’t learn to parent in school and university, you learn to parent by becoming a parent.